K-pop boy band EXO. Source: Wikimedia Commons. Angela Lee has one mission: to bring Australian talent into the world of Korean pop music. The 36-year-old ‘k-pop’ enthusiast had always dreamed of being on stage, but with no opportunities to pursue this aspiration, it eventually took a backseat to her studies. When she was 30, her passion for entertainment still remained, but she decided she was “too old” for her original dream to be viable. Instead, she decided to help the younger generation fulfil their dreams. Now she has her own performance agency with its sights set on Korea. Ms Lee is one of 35 million fans of Korean pop music, or ‘k-pop’. There are 26.2 million fans in Asia and Oceania alone, according to data from the Korea Foundation in 2015. On September 22-23 this year in Sydney, Australia is also set to hold its first ever ‘KCON’ k-pop convention – a large gathering of k-pop fans that has previously been held in several countries including America, France and Mexico. K-pop sets itself apart from western music through its emphasis on boy bands and girl groups, intricate choreography and colourful, flashy performances. Its artists, known as ‘idols’, are immaculately styled and presented, and trained to perform with precision, charisma and energy. Despite the genre’s Korean origins, k-pop fans come from a variety of backgrounds and ethnicities. Furthermore, there are many non-Korean, even non-Asian fans who not only enjoy the music, but want to become k-pop idols themselves. Is it possible? That is where Ms Lee comes in. Ms Lee, originally from Singapore, was born into a musical family. Her father made electric guitars and managed a church music group, and her grandfather was a band leader. At 16, she left Singapore and studied a Bachelor of Economics and Master of Business at the University of Sydney. She then found work as a business analyst before establishing her Sydney-based performance school, The Academy, in 2016 after three years of research. The Academy, which offers an annual week-long ‘Kpop Boot Camp’ for Australians who want to become k-pop idols, is the only one of its kind in Australia. The boot camp ran for the first time in 2016, with 34 trainees selected for the program through national auditions. “The reason why I wanted to start the program in Australia was because I felt there were a lot of talent [here] . . . but Australia’s representation in the Korean industry seems to be lacking. The main focus of the boot camp is to help discover [these] talents and promote them to Korea,” Ms Lee says. Ms Lee says the boot camp gives those interested in being k-pop idols the opportunity to get a taste for trainee life while being monitored thoroughly by the agency’s Korean trainers, all of whom have had industry experience in Korea. The best-performing trainees last year were given the opportunity to privately audition for a Korean agency through a prepared video and photo portfolio, which was a special privilege. Usually, foreign k-pop hopefuls must attend a ‘global audition’ hosted by an entertainment company in their home country, where their audition will be recorded by representatives and sent to Korea. Despite her academy being open to everybody, Ms Lee herself is not sure a non-Asian person would find success in k-pop right now. “I think at this stage the probability is low, not to say that it’s not there, but I think that there needs to be an awesome amount of hard work and dedication from a non-stereotype person to make it into a k-pop group,” she says. But she still insists on including anyone who is interested in her boot camp. “We would love to have everybody on board, whether you’re Asians or non-Asians, or whether you’re Caucasian or whether you’re Chinese. It doesn’t concern us, what we want to see is the talent and the passion,” she says. Karen Chen, a 16 year-old k-pop fan, agrees that it would be difficult for a “non-stereotypical” hopeful to debut under a Korean agency. “The Korean industry is pretty strict . . . Coming from an Asian background, [especially if you have] darker skin, people tend to judge you a lot. If you’re dark, it means you don’t work because there’s a stereotype where if you’re pale that means you can stay indoors and work every day,” says the Gold Coast high school student. In 2016, Ms Chen auditioned for one of Korea’s biggest entertainment companies, SM Entertainment, in Sydney. Ms Chen dreams of being a singer, and has taken both singing and dancing classes. She says the Korean music industry appeals to her because of k-pop’s “sophisticated” performances. “If you look at Western industries . . . live performances are just them singing and everyone’s just sitting there not doing anything, whereas, if you’re in the k-pop industry everyone’s so hyped . . . and you’re dancing as well, so why not just do it all?” she says. Hongju Jo, the consul-general of the Republic of Korea in Melbourne, has a good idea of why k-pop performances are so appealing to international audiences. He says k-pop is popular worldwide because it mixes cultures. “The rhythm is not [of] Korean origin. They adapt Western rhythm, melody, and even lyrics. But they show [it] through Asian emotion. K-pop includes everything and mixes it together and makes it better. That’s why people like [it],” he says. Consul-general Hongju Jo at the Melbourne Korea Week festival. Photo by Elana Frost. SM Entertainment and rival agency JYP Entertainment allow people of any race to audition for them. Foreigners are not uncommon in the k-pop industry, with some of the most popular groups having Chinese, Japanese and Thai members. Alex Dinh, a Vietnamese trainee from last year’s k-pop boot camp, says she would like to see the industry opening up to even more ethnicities in the future. Other boot camp trainees agree, but some worry that Koreans would be against the idea. 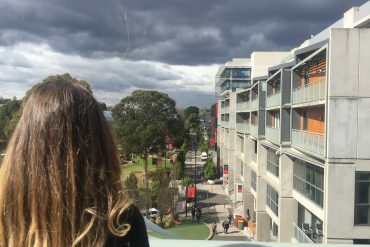 “I think at first people would feel a little bit uncomfortable or uneasy about it,” says 21-year-old Tayla-Kay Morgillo. However, according to Korean national Jisu Lee, this may not be the case. The 28-year-old, who is currently in Melbourne for a working holiday, says that more diversity in k-pop would be “fresh”, and that if a non-Asian were to debut in Korea, “maybe a lot of people [would] like her or him”. Ms Lee, who is planning to stay in Australia for a year, uses language exchange mobile applications to teach Korean, and says she would like to share other aspects of her culture, including wearing a Hanbok [traditional Korean dress], with Australian people. Consul-general Hongju Jo is also eager to share Korean culture with Australians. 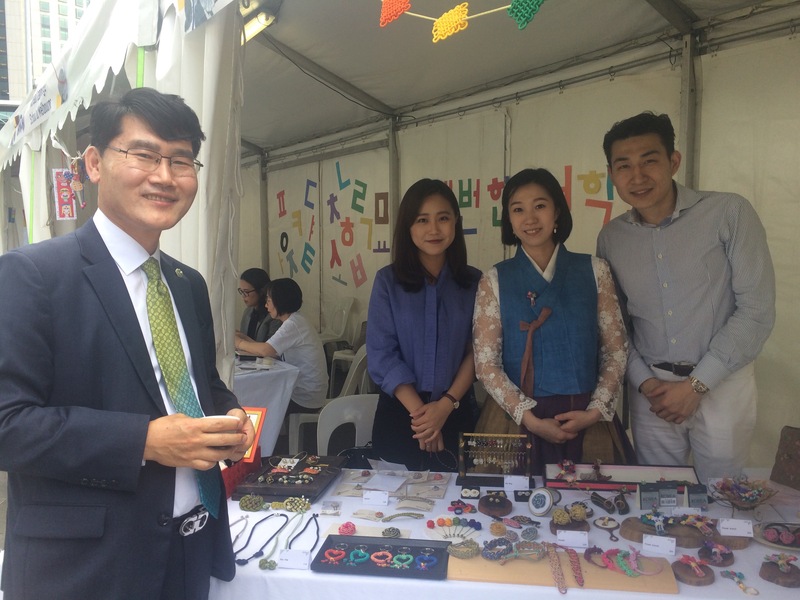 In March, he was involved in the annual Melbourne Korea Week Festival, where attendees could learn about and try different aspects of Korean culture including cooking, language and handicrafts. He says he wants to share his culture with Australians because “If there’s understanding [with] each other, we can respect each other and live together in harmony. “I really like Australia because Australians accommodate various kinds of cultures. They do not discriminate people depending on their cultural background, so . . . this is really an ideal place to show our culture,” he says. But as for whether Australians, including those of non-Asian descent, will ever play a substantial role in k-pop, time will tell. In the meantime, Angela Lee will continue to do her best to make it happen.